Growing plants indoors reduces stress levels and improves air quality significantly, but the LYFE planter also transforms plants into an eye-catching part of any home and décor. Created by Flyte, a Swedish design company based in Stockholm, this zero-gravity growing system looks like a living sculpture. And it is. It works best with air plants, which don’t require soil to grow as they take their nutrients from airborne particles. By rotating continuously, LYFE ensures the plants receive light on every side and leaf, 365 days per year. 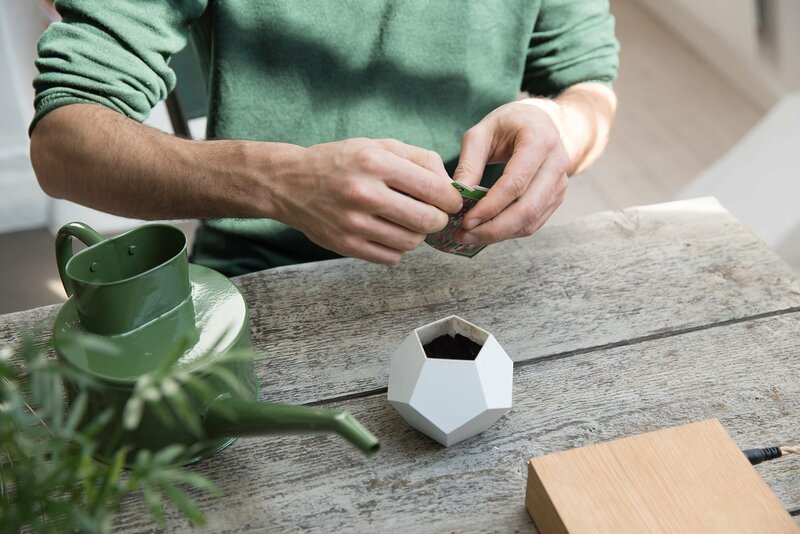 The geodesic shape of the planter is molded from silicone and has 12 sides that catch the light and display shadows as it turns in a 360 degrees motion above the base. Inside, a water reservoir reduces the risks of over-watering, while at the bottom, a magnet pushes against the electromagnetic base made of sustainably-sourced oak. 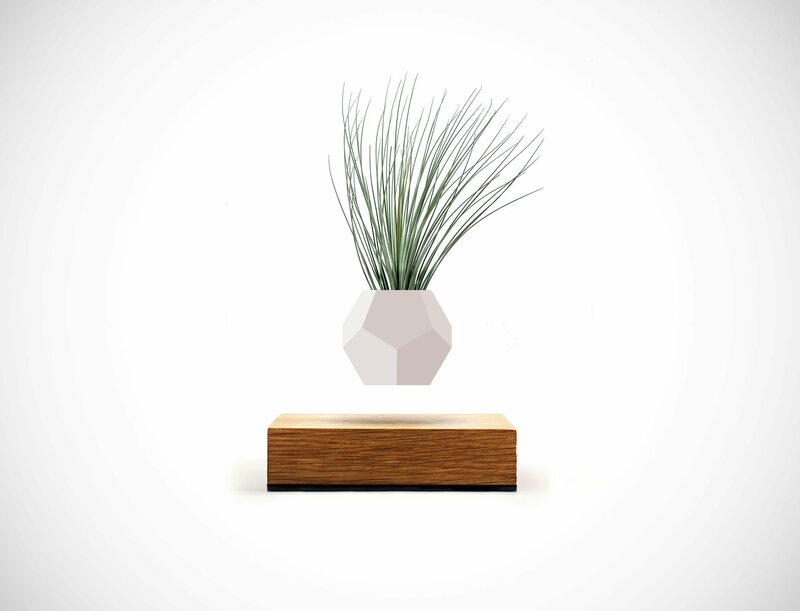 The result is a stunning design that levitates and rotates in mid-air, nourishing the air plant and creating a creative décor piece at the same time. You can support the LYFE campaign by going to the company’s Kickstarter page. Worldwide shipping is available and the first planters will go to their backers starting from September 2016. Images courtesy of Flyte.